Let's take a look at 9 different distribution channels that will help get your content in front of your target audience. Before we begin, we created a list of 45+ distribution tactics. Click here to view, no opt-in needed! With well over 2.19 billion users, Facebook is the reigning king when it comes to social distribution channels. The sheer volume of daily active users gives businesses (big or small) ample opportunity to connect with their audience. This is an exceptional tool to enhance your brand's visibility and your audience’s engagement. If your budget allows it, consider using Facebook Ads. Here, you can upload existing lists into the platform or try retargeting all together to reach your audience. Another exceptional Facebook tool that will help you reach a broader audience are Lookalike Audiences. The Fall of Facebook Engagement: What Should You Do Next? 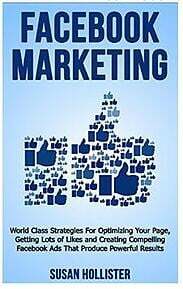 If you want to learn more about how to optimize your advertising strategy on Facebook, be sure to check out "Facebook Marketing: World Class Strategies for Optimizing Your Page, Getting Lots of Likes, and Creating Compelling Facebook Ads that Produce Powerful Results" by Susan Hollister. The title truly says it all. Instagram leverages the power of hashtags to bring visibility to your content. Additionally, it is an excellent platform for finding influencers to help increase your brand's awareness. Running paid advertising and sharing posts with links and CTA might go a long way to increase engagement as well as visibility. 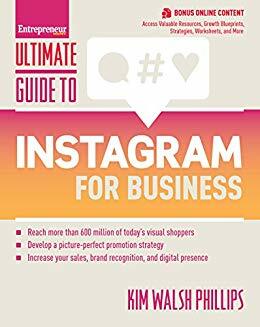 Also be sure to check out the "Ultimate Guide to Instagram for Business" by Kim Walsh Phillips, where she tackles some interesting tactics for generating a larger following and increasing your ROI by using Instagram as a business tool. Twitter is one of the best platforms to use if you’re looking to amplify your blog. To master this medium, you need to be concise and to the point. Limited to only 280 characters, be sure to include a short message, a shortened link back to your website/blog you want to promote, and of course a (#) hashtag. If you’re also promoting a new long-post article or want more awareness to a specific web page, you can always try ‘pinning’ the tweet to the top to grab visitors’ attention. Twitter can be an effective tool in your digital marketing arsenal. Use it wisely to leverage content curation, share your original posts, retweet relevant and interesting articles, and reply to those sharing your content. 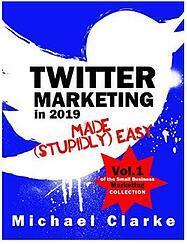 If you are planning to fully utilize Twitter for business, be sure to check out Michael Clarke's "Twitter Marketing in 2019 Made Easy" for tips on how and when to tweet, how to gain followers, and how to start generating leads. This social platform allows you to create a board of all the content you have created and “pin” it for users to see. However, it might not be for everyone. Pinterest is another “visual” medium, so make sure your content is full of imagery. 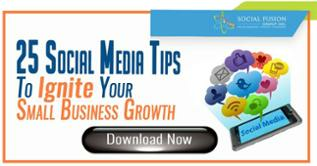 Another possible tactic is to repurpose some of your blog posts into infographics and draw your audience's attention. Furthermore, like Instagram, Pinterest is also an excellent tool for finding influencers with a significant following. We will explain more about the importance of influencers in just a bit. This social platform will allow you to share your content within your niche communities and groups, and utilize your existing email or contact lists for further promotion via the networking platform. You could even write a blog on LinkedIn that will divert traffic back to your site, or gain an influencer's attention by tagging them within your status updates. It is important to understand that “serious” and “business” do not equal “bland”. LinkedIn’s users might be more “corporate” but that doesn’t mean your posts should be strict and simple. Add an image, links, a short description, and generally make your post appealing so it can stand out and get more visibility. 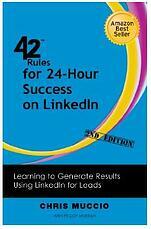 And for even more insight on LinkedIn check out the "42 Rules for 24-Hour Success on LinkedIn" by our very own Chris Muccio. Owned by LinkedIn, SlideShare is an excellent site to leverage if you have repurposed your content into a slideshow presentation or an infographic. Before moving on, let’s briefly address something. 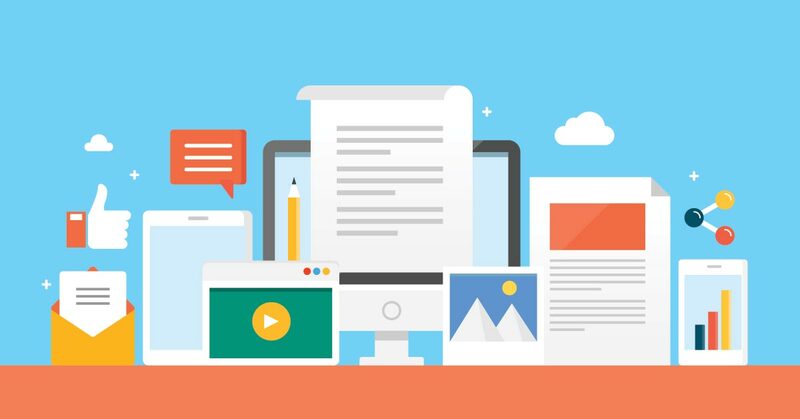 If you are interested in this topic, check out this article for insight on all you need to know about The Art of Repurposing Content. 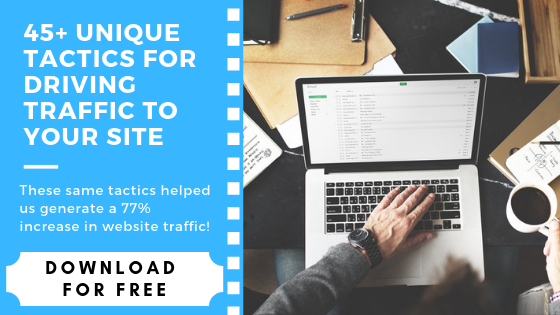 If you have a relatively new or small business, you might be thinking that it is a bit unrealistic to use email marketing for content distribution. While it might seem that way, we beg to differ. Even if you have 2-3 contacts in your email list, share your content with them. In turn, they might share it with their contacts or social followers, and before you know it, views and traffic might start flowing in. The same goes for those with an already established list; utilize it, share your quality content with your subscribers. For anyone interested in building an email based campaign here is a cool little tool for you. MailChimp allows you to create contact lists, monitor your subscribers' interests, utilize customizable templates to form unique emails or lead magnets, and finally schedule dates for your content to be distributed to all or select members of your list. Moreover, there is a free and paid version available to suit every budget time. Before we move on; if you currently have very few subscribers or are just looking for ways to increase your contact database, check out this article talking about the importance of link building. 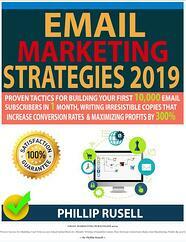 If you want to learn more about growing your list and potentially increasing your ROI from email marketing, be sure to check out "Email Marketing Strategies 2019" by author Phillip Rusell. While not widely talked about, guest blogging is one of the most popular ways to get noticed and reach out to a new audience. By publishing your content on other (oftentimes more established) websites, you can significantly increase your brand awareness, build backlinks to increase your website/blog’s traffic, and even generate referral traffic. Influencer marketing has gone from a buzzword to one of the most successful content distribution and online growth strategies in mere months. The main benefit of building relationships and targeting influencers is getting access to their engaged audience. To reap these benefits, you will need to build quality relationships with the right kinds of influencers. It’s not a one size fits all approach, you will need to find influencers that are a good fit for your content and brand. Unfortunately, the way to do this is beyond the scope of this article but we got you covered. Click here to find out all you need to know about influencer marketing and how to leverage its power. Generating traffic isn't the easiest thing in the world. If it were, we wouldn't be here talking about it! So don't get discouraged if these tactics don't work on the first try. Building an audience that wants to come back and read your posts takes time. We hope you found this article useful, if you have any further questions or comments feel free to contact us. Enjoy our content? Be sure to follow us on Facebook and Twitter. For more reading on how you can make an impact with your online marketing, see the links below, and as always, feel free to join our Facebook Group.